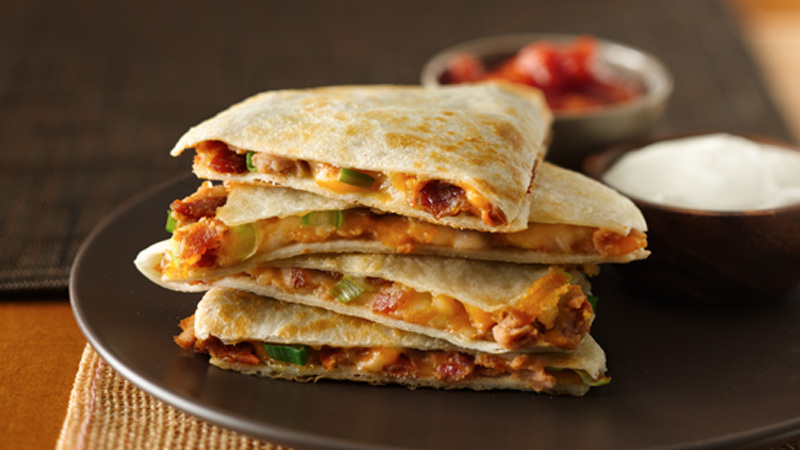 With crispy smoked bacon and melting cheese these quick and easy quesadillas will soon become a family favourite! Cook the bacon rashers under a pre-heated grill for 5-7 minutes, turning occasionally until very crisp. Remove and drain on kitchen paper. Leave to cool then roughly chop. Spread half of each tortilla with some refried beans then top with grated cheese, chopped bacon and spring onions. 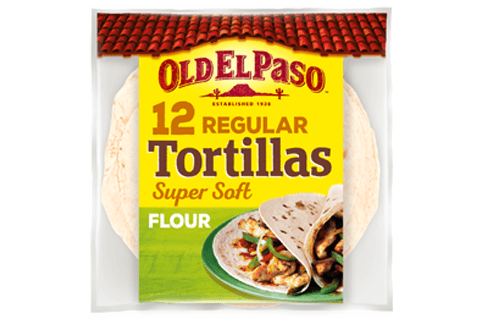 Fold each tortilla over the filling with a spatula and press down gently. Lightly brush both sides of each tortilla with melted butter. Heat a large non-stick frying pan over a medium heat. Cook 2 quesadillas at a time, for 3-4 minutes, turning once until golden brown and heated through. Cut into wedges and serve with salsa and soured cream. Use strips of ready cooked crispy bacon to save time – you’ll find packs near the deli meats in most large supermarkets. Serve with sliced tomato and cucumber salad or crisp coleslaw for a filling lunch or supper.